Cloud Twelve is a one-of-a-kind wellness and lifestyle club in the heart of Notting Hill, extending over three floors with an interactive play and learn zone for families with children, indulgent spa, luxury salon, nutritionally focused brasserie and a holistic wellness clinic - all under one roof for you to enjoy. Together we have developed a concept that promotes love; not just for yourself, your friends and family, but for the community, the planet, and all beings on it. Everything we do is guided by six main principles. The Cloud Twelve family brings together a team of experts hand-picked for their talent, creativity, specialised knowledge and exceptional working history. We have developed to the best of our ability an organic, eco-friendly environment, paying attention not just to what we eat and drink, but also to what we breathe, touch and walk on and how much waste we generate. Read the latest coverage of all things Cloud Twelve within our press hub. Welcome to our Family Space, a bespoke area where parents and children alike can feel inspired to play and learn together or independently. 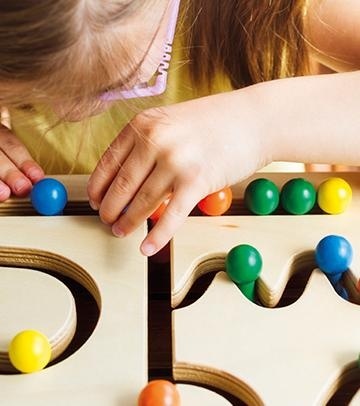 Our Family Space hosts a unique open-ended play and learn area specifically designed for optimal child development. Cloud Twelve offers a bespoke programme of fun, educational classes for children. Welcome to the Cloud Twelve crèche, where parents can entrust their children to our team of qualified practitioners, while taking some precious adult time to relax and enjoy another part of the club. The Cloud Twelve Family Space offers home babysitting services for members. As a wellness-focused space, Cloud Twelve offers a variety of holistic health services, where parents can access support relating to natural medicine and nutrition, infant development and family wellness. Step inside our themed eatery where we provide a child-friendly, plant-based, organic menu. Faced with an increasingly frenetic lifestyle, it is all too easy to forget to prioritise our own health. At our wellness clinic, our collective of experts from the fields of complementary medicine work together to create personalised programmes to optimise your health and well-being, by combining natural therapies with modern science. Herbal medicine is simple, safe and effective naturopathic tradition of using plants for medicinal purposes. Naturopathic Nutrition takes a holistic view of health and considers that food is medicine and that wellness begins with what we put into our bodies. Traditional Chinese Medicine is a multi-faceted system of healing encompassing Chinese herbal medicine, acupuncture, massage, exercise and dietary therapy. Osteopathy represents a holistic approach to health and wellness, with a particular emphasis on the musculoskeletal system. Craniosacral Therapy is a gentle way of working with the body using light touch. It supports your body’s inherent ability to balance, repair and heal itself, as well as helping to reduce stress and build your underlying energy. Homeopathy embraces the philosophy of ‘like cures like’, using extremely diluted solutions of herbs and minerals that are believed to hold a trace memory or energetic imprint of the substance used. Homeopathic remedies are used as a natural therapeutic tool to amplify the patient’s symptoms and in doing so, stimulate the healing process and eradicate the illness. With our ever-changing lifestyles and the increase of processed and refined foods in our diets, this is a great way to boost our systems and give our digestive tracts the ability to detoxify and be reinvigorated in order to digest and absorb vital nutrients. Therapy offers a safe haven and a confidential space to deepen your understanding of who you are, process how you feel, regain perspective, and harness your inner wisdom to increase self awareness and foster an overall sense of meaningful wellbeing. Intravenous infusions deliver fluids directly into a vein. This is the fastest way to deliver nutrients and minerals into the body, as it bypasses the gut and is circulated directly into the bloodstream. The Cloud Twelve wellness clinic offers access to world-leading laboratories that deliver the broadest range of functional, nutritional, genetic and autoimmunity diagnostic services. 1.2.3. You have the right to make a complaint at any time to the Information Commissioner's Office (ICO), the UK supervisory authority for data protection issues (www.ico.org.uk). We would, however, appreciate the chance to deal with your concerns before you approach the ICO so please contact us in the first instance. 1.3.1 It is important that the personal data we hold about you is accurate and current. Please keep us informed if your personal data changes during your relationship with us. 2.1 Personal data, or personal information, means any information about an individual from which that person can be identified. It does not include data where the identity has been removed (anonymous data). 2.2.1 Identity Data includes your first name, last name, username or similar identifier, marital status, title, date of birth and gender. 2.2.2 Contact Data includes your home address, work address, billing address, personal and work email addresses and telephone numbers and emergency contact details. 2.2.3 Financial Data includes bank account details and payment card details. 2.2.4 Transaction Data includes details about payments to and from you and other details of products and services you have purchased from us. 2.2.5 Technical Data includes your internet protocol (IP) address, your login data, browser type and version, time zone setting and location, browser plug-in types and versions, operating system and platform and other technology on the devices you use to access our website. 2.2.6 Profile Data includes your username and password, services for which we have been engaged by you in the past, your interests, preferences, feedback and survey responses. 2.2.7 Usage Data includes information about how you use our website, member’s club and services. 2.2.8 Marketing and Communications Data includes your preferences in receiving marketing from us and our third parties and your communication preferences. 2.2.9.2 Race and Ethnic Origin Data set out in any photograph that you provide to us. 2.3 We may also collect data from children (which means those under 16 years of age), in so far as you as a parent consent to us doing the same. This is to enable us to provide you and your family with our services and for the purposes listed at 4.2.3 below. 2.5.1 Where we need to collect personal data by law, or under the terms of a contract we have with you and you fail to provide that data when requested, we may not be able to perform the contract we have or are trying to enter into with you (for example to provide you with our services). In that case, we may have to cancel the provision of services to you but we will notify you if that is the case at the time. 3.1.1.7 give us any feedback or contact us. 3.1.2 Automated technologies or interactions. If you interact with our website, we will automatically collect Technical Data about your equipment, browsing actions and patterns. We collect this personal data by using cookies and other similar technologies. We also receive Technical Data about you if you visit other websites employing our cookies. Please see our cookies policy for further details. If you interact with our electronic check in system within the member’s club, we may automatically collect Usage Data from you including your preferred arrival and departure times and the length of time you use the club. 3.1.3.2 from publicly available sources such as Companies House. 4.1.1 Where you have explicitly consented to our use of your personal data. You have the right to withdraw such consent at any time by contacting us via the means set out in paragraph 1.2.2 above. 4.1.2 Where we need to perform the contract we are about to enter into or have entered into with you. 4.1.3 Where it is necessary for our legitimate interests (or those of a third party) and your interests and fundamental rights do not override those interests. 4.1.4 Where we need to comply with a legal or regulatory obligation. 4.2.1 We have set out below, in a table format, a description of all the ways we plan to use your personal data, and which of the legal bases we rely on to do so. We have also identified what our legitimate interests are where appropriate. 4.2.2 Special Categories of Personal Data require an additional special condition to be satisfied if we are to process it lawfully. We have set out in the table below the special condition that we will satisfy in relation to the use of your Special Categories of Personal Data. 4.2.3 Note that we may process your personal data for more than one lawful ground depending on the specific purpose for which we are using your data. Please contact us via the means set out in paragraph 1.2.2 above if you need details about the specific legal ground we are relying on to process your personal data where more than one ground has been set out in the table below. 4.3.1 We strive to provide you with choices regarding certain personal data uses, particularly around marketing and advertising. We have established the personal data control mechanisms listed at 4.4 to 4.8 below. 4.4.1 We may use your Identity Data, Contact Data, Technical Data, Usage Data, Profile Data, Financial Data and Health Data to form a view on products or services that we think you may want or need, or what may be of interest to you. This is how we decide which products, services and offers may be relevant for you (we call this marketing). 4.4.2 You will receive marketing communications from us if you have requested information from us or engaged us to provide you with services and, in each case, you have not opted out of receiving that marketing. 4.5.1 We will get your express opt-in consent before we share your personal data with any other company for marketing purposes. 4.6.1 You can ask us, or third parties, to stop sending you marketing messages at any time by following the opt-out links on any marketing message sent to you or by contacting us via the means set out in paragraph 1.2.2 above. 4.8.1 We will only use your personal data for the purposes for which we collected it, unless we reasonably consider that we need to use it for another reason and that reason is compatible with the original purpose. If you wish to get an explanation as to how the processing for the new purpose is compatible with the original purpose, please contact us via the means set out in paragraph 1.2.2 above. 4.8.2 If we need to use your personal data for an unrelated purpose, we will notify you and we will explain the legal basis which allows us to do so. 4.8.3 Please note that we may process your personal data without your knowledge or consent, in compliance with the above rules, where this is required or permitted by law. 5.2 We require all third parties to respect the security of your personal data and to treat it in accordance with the law. We do not allow our third-party service providers to use your personal data for their own purposes and only permit them to process your personal data for specified purposes and in accordance with our instructions. 6.1. We may share your personal data within our corporate group or with external third parties, which may involve transferring your data outside the European Economic Area (“EEA”). 6.2.3 where we use providers based in the US, we may transfer data to them if they are part of the Privacy Shield which requires them to provide similar protection to personal data shared between the Europe and the US. 7.1 We have put in place appropriate security measures to prevent your personal data from being accidentally lost, used or accessed in an unauthorised way, altered or disclosed. In addition, we limit access to your personal data to those employees, agents, contractors and other third parties who have a business need to know. They will only process your personal data on our instructions and they are subject to a duty of confidentiality. 7.2 We have put in place procedures to deal with any suspected personal data breach and will notify you and any applicable regulator of a breach where we are legally required to do so. 8.1 How long will you use my personal data for? 8.1.1 We will only retain your personal data for as long as necessary to fulfil the purposes we collected it for, including for the purposes of satisfying any legal, accounting, or reporting requirements. 8.1.2 To determine the appropriate retention period for your personal data, we consider the amount, nature, and sensitivity of the personal data, the potential risk of harm from unauthorised use or disclosure of your personal data, the purposes for which we process your personal data and whether we can achieve those purposes through other means, and the applicable legal requirements. 8.1.3 Details of retention periods for different aspects of your personal data can be obtained by contacting us via the means set out in paragraph 1.2.2 above. 8.1.4 In some circumstances you can ask us to delete your data: see Request erasure below for further information. 8.1.5 In some circumstances we may anonymise your personal data (so that it can no longer be associated with you) for research or statistical purposes in which case we may use this information indefinitely without further notice to you. 9.1.1 Request access to your personal data (commonly known as a "data subject access request"). This enables you to receive a copy of the personal data we hold about you and to check that we are lawfully processing it. 9.1.2 Request correction of the personal data that we hold about you. This enables you to have any incomplete or inaccurate data we hold about you corrected, though we may need to verify the accuracy of the new data you provide to us. 9.1.3 Request erasure of your personal data. This enables you to ask us to delete or remove personal data where there is no good reason for us continuing to process it. You also have the right to ask us to delete or remove your personal data where you have successfully exercised your right to object to processing (see below), where we may have processed your information unlawfully or where we are required to erase your personal data to comply with local law. Note, however, that we may not always be able to comply with your request of erasure for specific legal reasons which will be notified to you, if applicable, at the time of your request. 9.1.4 Object to processing of your personal data where we are relying on a legitimate interest (or those of a third party) and there is something about your particular situation which makes you want to object to processing on this ground as you feel it impacts on your fundamental rights and freedoms. You also have the right to object where we are processing your personal data for direct marketing purposes. In some cases, we may demonstrate that we have compelling legitimate grounds to process your information which override your rights and freedoms. 9.1.5 Request restriction of processing of your personal data. This enables you to ask us to suspend the processing of your personal data in the following scenarios: (a) if you want us to establish the data's accuracy; (b) where our use of the data is unlawful but you do not want us to erase it; (c) where you need us to hold the data even if we no longer require it as you need it to establish, exercise or defend legal claims; or (d) you have objected to our use of your data but we need to verify whether we have overriding legitimate grounds to use it. 9.1.6 Request the transfer of your personal data to you or to a third party. We will provide to you, or a third party you have chosen, your personal data in a structured, commonly used, machine-readable format. Note that this right only applies to automated information which you initially provided consent for us to use or where we used the information to perform a contract with you. 9.1.7 Withdraw consent at any time where we are relying on consent to process your personal data. However, this will not affect the lawfulness of any processing carried out before you withdraw your consent. If you withdraw your consent, we may not be able to provide certain products or services to you. We will advise you if this is the case at the time you withdraw your consent. 9.2 If you wish to exercise any of the rights set out above, please contact us via the means set out in paragraph 1.2.2 above. 9.3.1 You will not have to pay a fee to access your personal data (or to exercise any of the other rights). However, we may charge a reasonable fee if your request is clearly unfounded, repetitive or excessive. Alternatively, we may refuse to comply with your request in these circumstances. 9.4.1 We may need to request specific information from you to help us confirm your identity and ensure your right to access your personal data (or to exercise any of your other rights). This is a security measure to ensure that personal data is not disclosed to any person who has no right to receive it. We may also contact you to ask you for further information in relation to your request to speed up our response. 9.5.1 We try to respond to all legitimate requests within one month. Occasionally it may take us longer than a month if your request is particularly complex or you have made a number of requests. In this case, we will notify you and keep you updated. 10.1 Comply with a legal obligation means processing your personal data where it is necessary for compliance with a legal or regulatory obligation that we are subject to. 10.2.1 Service providers acting as data processors who provide us with payment processing, software as a service, IT and system administration services. 10.2.2 Professional advisers including bankers, solicitors, auditors and insurers who provide us with banking, legal, insurance and accounting services. 10.2.3 HM Revenue & Customs, regulators and other authorities who require reporting of processing activities in certain circumstances. 10.3 Internal Third Parties means other companies in our corporate group (if applicable) who you may need to provide you with services. 10.4 Legitimate interest means the interest of our business in conducting and managing our business to enable us to give you the best service/product and the best and most secure experience. We make sure we consider and balance any potential impact on you (both positive and negative) and your rights before we process your personal data for our legitimate interests. We do not use your personal data for activities where our interests are overridden by the impact on you (unless we have your consent or are otherwise required or permitted to by law). You can obtain further information about how we assess our legitimate interests against any potential impact on you in respect of specific activities by contacting us via the means set out in paragraph 1.2.2 above. 10.5 Performance of a contract means processing your data where it is necessary for the performance of a contract to which you are a party or to take steps at your request before entering into such a contract. © 2019 Cloud Twelve Club. All rights reserved.